Like most beauty bloggers I love a good trend, but when you're part of the natural/ green beauty world it can be hard to keep up or even have the option of new products that will work with the latest look or technique. The green beauty world moves that much slower and is a lot less fashion focused. There's always a new must-have ingredient that pops up every now and then like Argan oil etc, but things like innovative makeup, application techniques and new formulas don't pop up all too frequently. 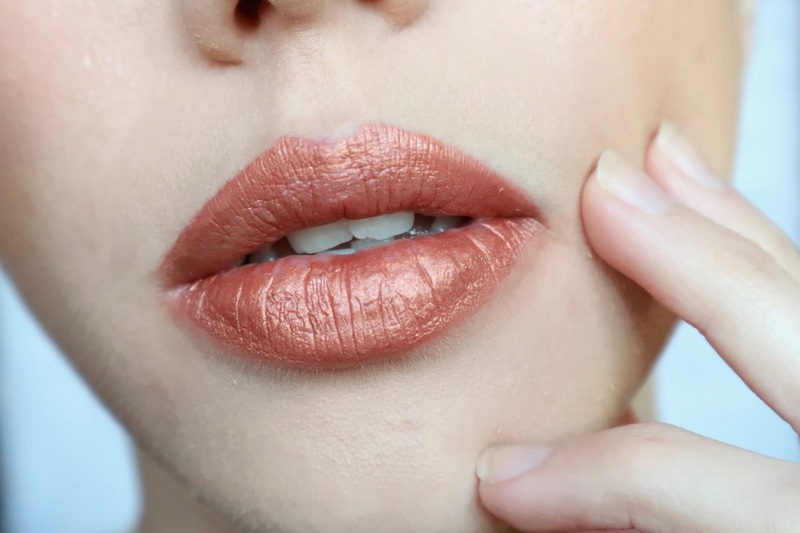 One trend that has really caught my eye lately is metallic lipstick. It's so out-there and I just love it. I've spent a good few months tracking down products and techniques that can help me achieve this look without having to resort to using conventional products. After many trials (blog posts on those to come soon) in came Bellapierre Mineral Lipstick in Fierce! 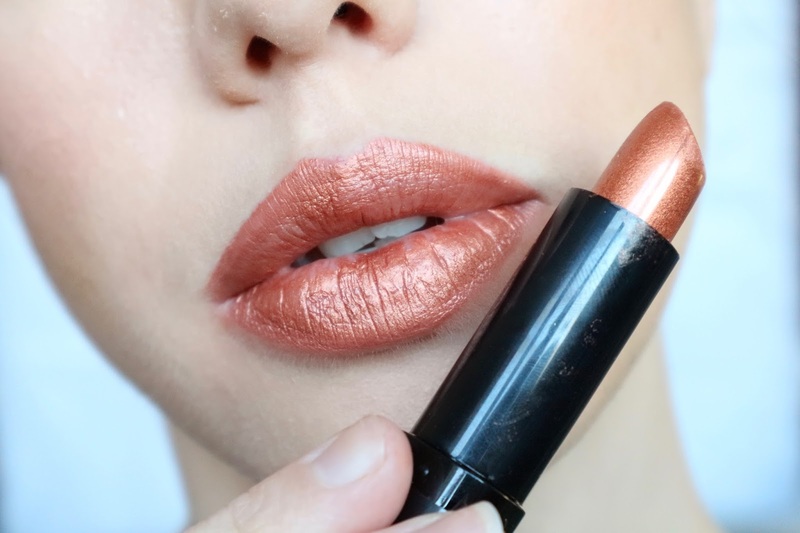 While this isn't the perfect metallic lip effect this beautiful copper lipstick definitely has that special oomph that I so admire in metallic lipsticks. In these photos some of the effect is a little bit lost, in real life the metallic sheen is much stronger and it really does look incredible. Plus the copper colour is stunning on it's own. It's quite a dreamy combo. 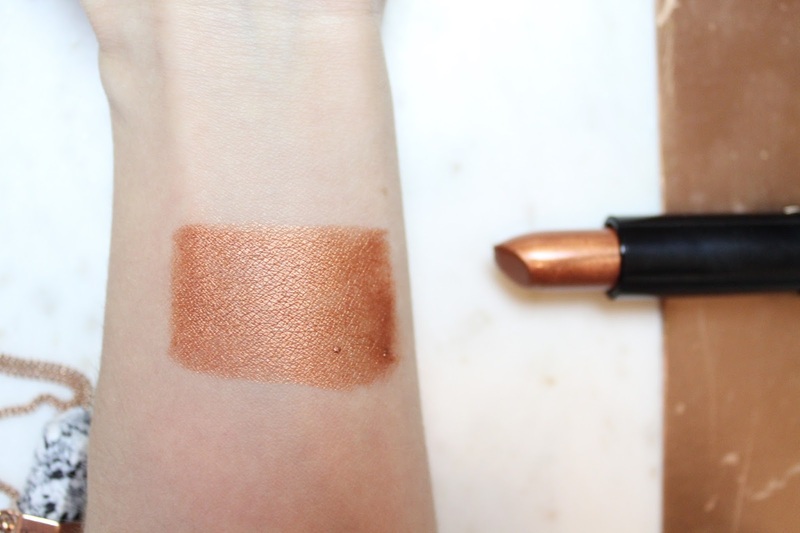 The formula of this lipstick is very soft and creamy, while this makes it amazingly easy to apply, it also means that it wears off and smudges very very easily. The colour also applies quite sheer and is very hard to build up to give the effect that it has in it's lipstick stick form. The photos above shows the lipstick with two coats without a liner underneath. Below you can see the swatch of the lipstick as it is on my skin tone. A very coppery colour, which is sensational and quite pigmented. On my lips, which are quite pigmented themselves, the colour is a lot less copper and has much more of a red undertone from my lips showing through. Despite it being more sheer than I would like, I still think the effect is pretty stunning! Another thing I love about this lipstick is that it smells like chocolate! It doesn't have much of a taste which is good as I hate lipsticks that I can really taste on my lips, but the scent is heavenly! It also feels quite moisturising as it contains ingredients like Jojoba oil. Due to it including beeswax it is not vegan. On their website Bellapierre describe Fierce as a 'frosted' lipstick. I've noticed a few in their range that are also classed as frosted including a gorgeous plum purple shade call Couture which I'm hoping will give the same gorgeous metallic effect. Roll on payday! 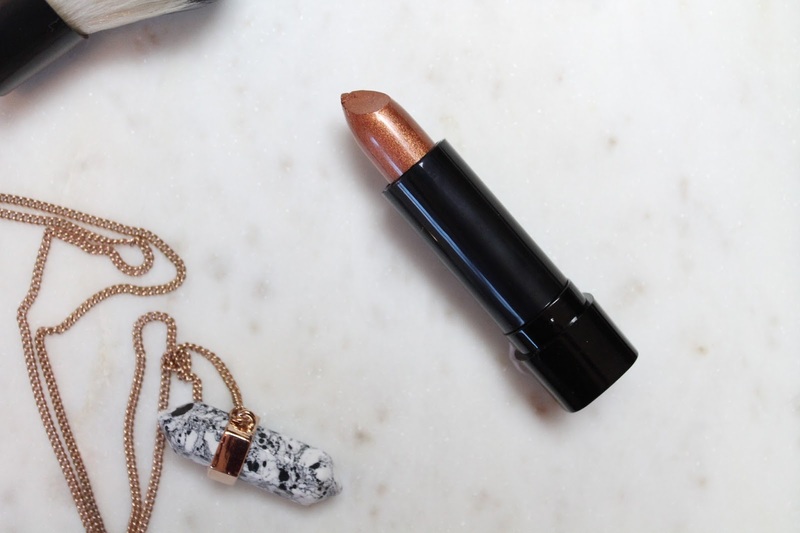 This lipstick cost £20 as a single but you can also get it in a set of 4 lipsticks for £35.